I love the immediacy of painting with ink on paper—how this simple medium has a way of revealing the vitality of the moment, in which the behavior of the ink, the paper, the brush, and the artist each play an equal part. 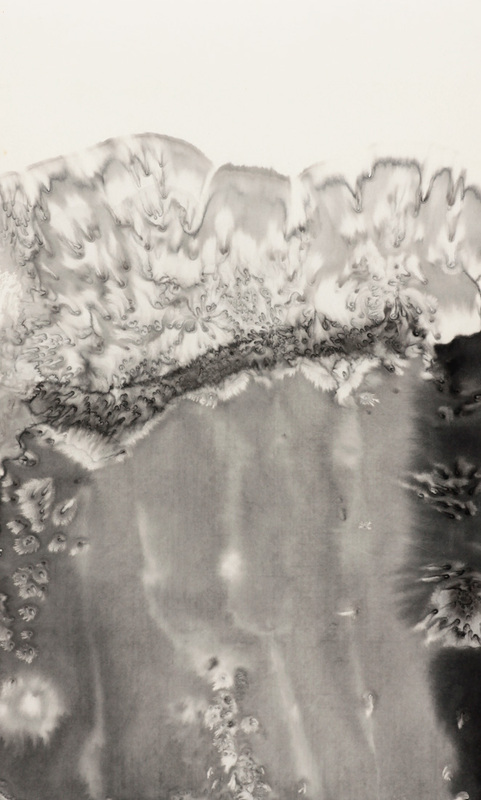 The ancient Chinese technique of splash ink painting intrigues me in particular because it brings imagination into play. I can see the drips and splashes either for what they are or for what I make of them. The challenge is to work with the organic forms in a way that doesn’t compromise the emerging aliveness of the piece.